All photos Gonzalo Redondo. 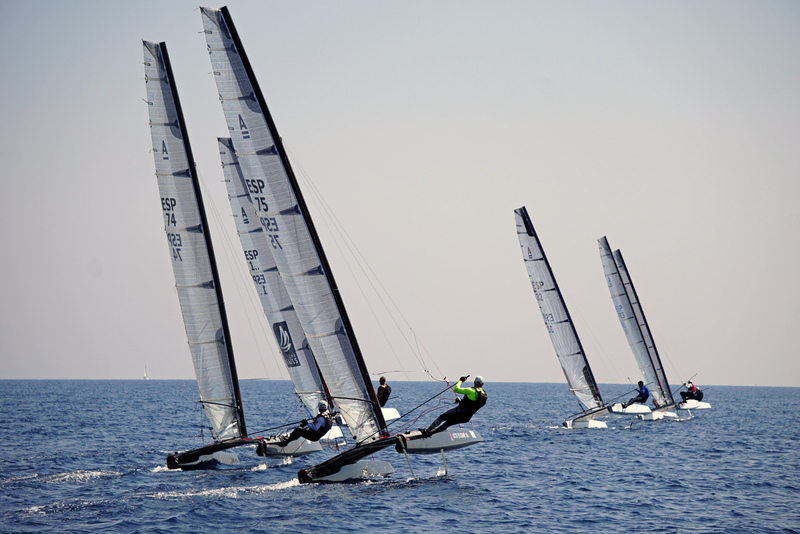 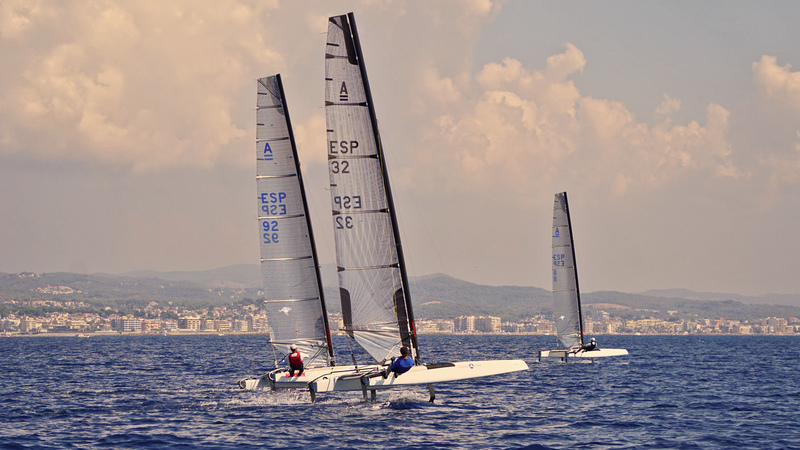 -- The Spanish A-Class Nationals held this weekend at Club Nautic Calafell , Tarragona. Excellent fleet of 26 boats and plenty of talented sailors like Anton Paz, Fernando Echavarri and many other local great sailors now also sailing A-Cats. 2015 Champ, Manuel Calavia (Exploder AD3/North) dominated the fleet with 5 bullets out of 9 races followed by Gustavo Doreste (Exploder A16) and Toni Ballester (Dna F1). 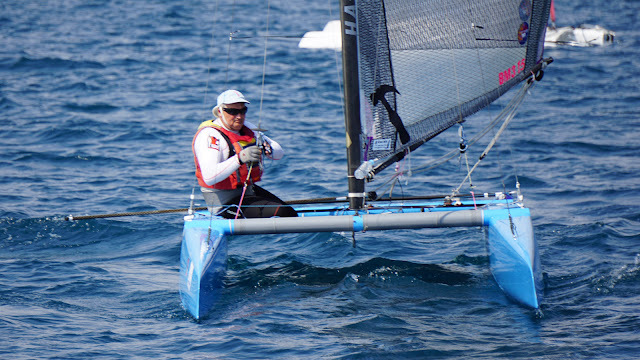 Micky Todd (Scheurer) finished 4th place. 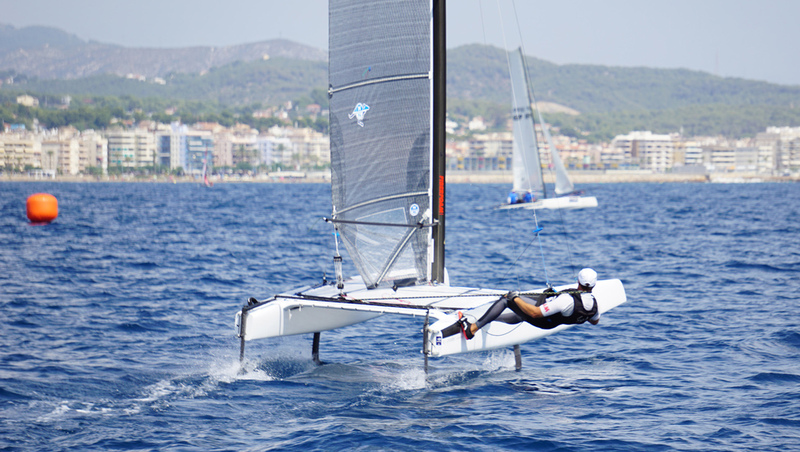 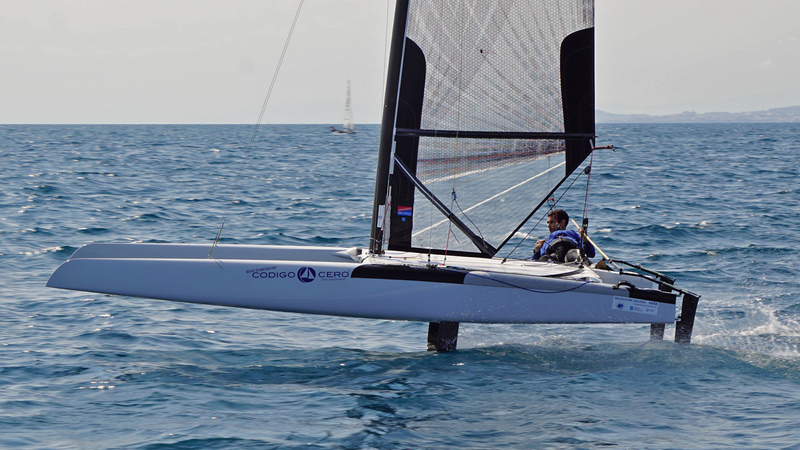 Check Anton Paz (Pic #2) foiling upwind. 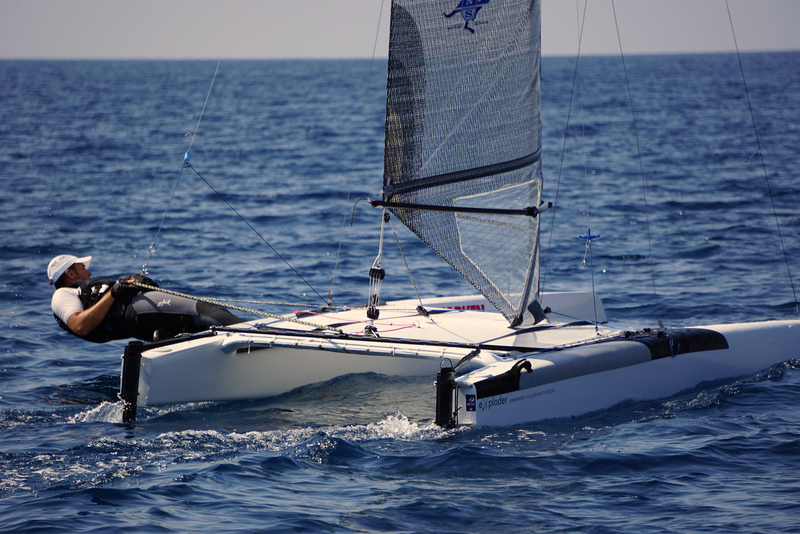 Calavia reports he can get de AD3 foiling in around 5 knots and in 7knots he is full flying cruising mode. That is impressive and similar to what I witnsessed live at Punta Ala from Ashby & Mischa. 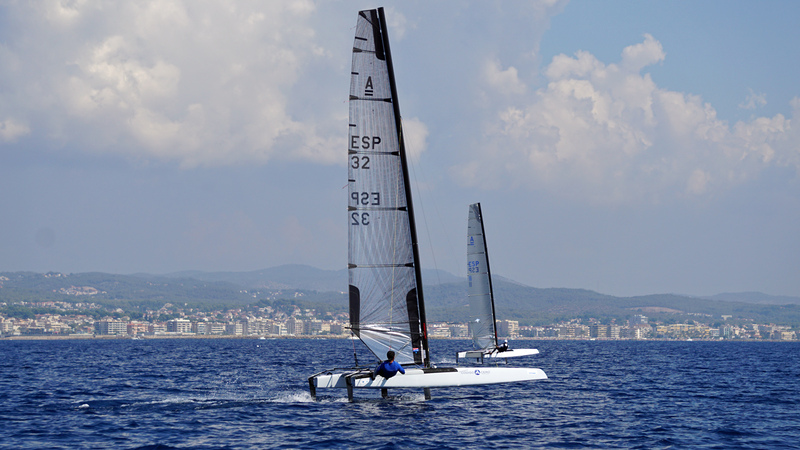 Manolo's AD3 with cassette castings, used for T rudders. 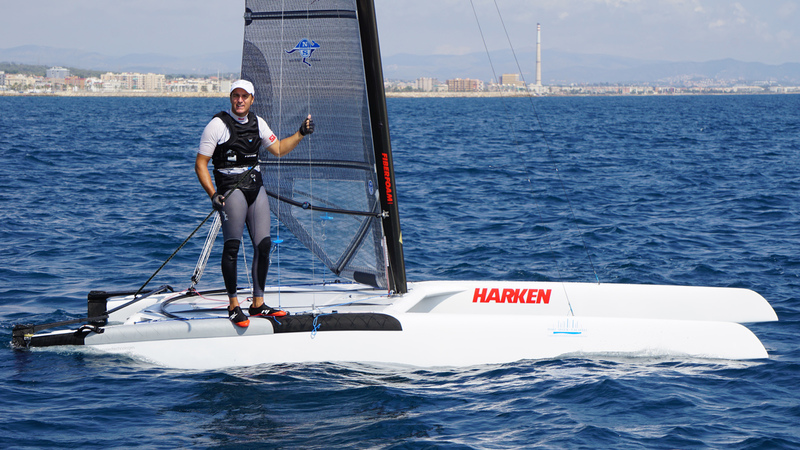 Calavia was 3rd at Punta Ala and many were hoping to see him racing at Medemblik but couldn´t attend on work compromises. His set for 2017 Worlds though, which will be held at Exploder's own waters at Sopot. 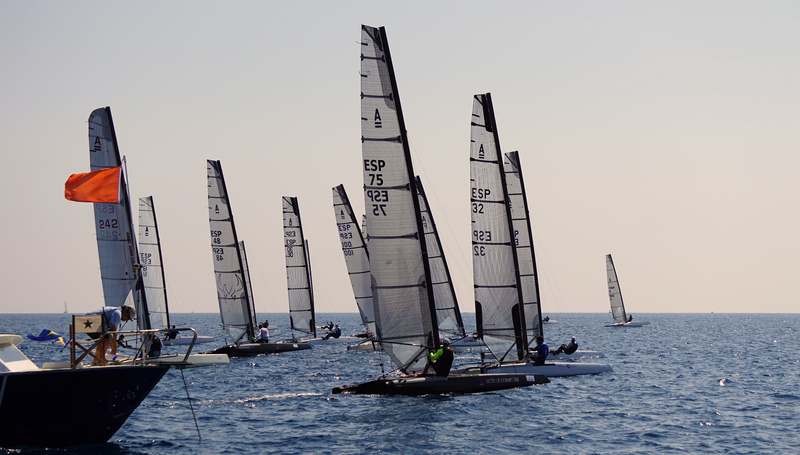 Top 12 below (26 A-Cats racing), full results here.